MOSCOW, June 6. /TASS/. Russia’s Sukhoi-27 fighter jet has intercepted and escorted a US B-52 bomber, which was flying along Russia’s border over the Baltic Sea, the Defense Ministry has told the media. "On June 6 Russia’s airspace monitoring means at 10:00 Moscow time identified an air target flying along Russia’s state border over the international waters of the Baltic Sea. 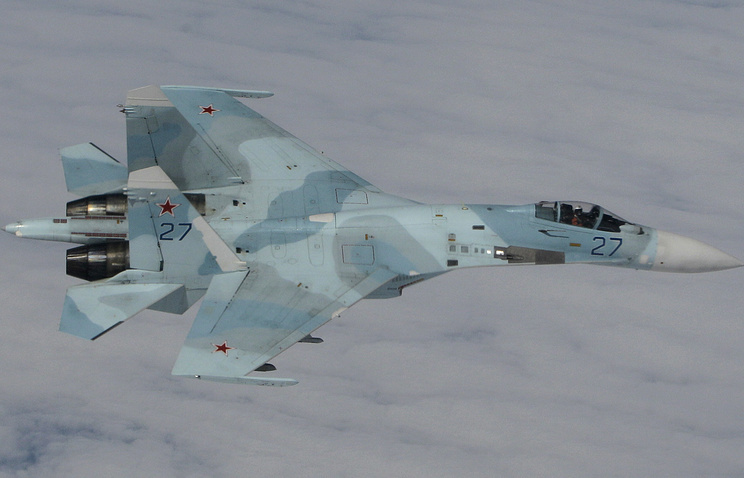 A Sukhoi-27 fighter jet of the Baltic Sea Fleet’s air defense force was dispatched to intercept the target," the statement runs. "The crew of Russia’s Sukhoi-27 jet approached the aircraft staying at a safe distance, identified it as a US strategic bomber B-52 and escorted it for some time," the Defense Ministry said.